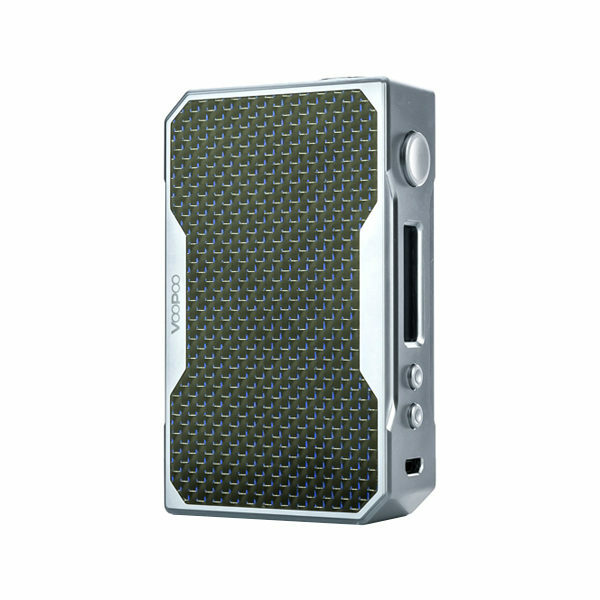 VooPoo’s Drag 157W TC box mod: a callback to the classic box style of yesteryear’s mods, yet also a powerhouse for the modern era. A dual-battery mod (standard 18650 size), the Drag packs a punch with a maximum wattage output of 157W, allowing you to vape on cloud 9, 10, or 20 if your heart so desires. And if that wasn’t good enough for you, the firing chip on this device – the state-of-the-art Gene chip – is lightning-quick, with a delay of only 25 milliseconds (i.e. less than the time it took you to read “25”). Whether you’re looking for intense flavour or voluminous clouds, there’s no way any serious vaper won’t be happy with the results produced by this mod. Of course, the story doesn’t end there as the inner workings of this mod are equally top-notch. A simple menu interface (two toggle buttons and a screen) offers temperature control, variable wattage, Super Mode, and multiple memory settings. Of particular note is its Smart Wattage Mode, which will automatically adjust the wattage to the ideal output for whichever coil you’re using. And to top all of that off, the firmware is upgradable through its micro-USB charger, enabling you to customize your experience even further. Yet despite all this sophistication, the Drag’s most immediate selling point is its classic styling, employing the old-school box design with bevelled corners for some distinctiveness. As you might expect, this design gives it a sturdy look and feel, and its battery compartment is the simplest and most secure set-up possible: an entire wall of the device that detaches and locks tight with a series of strong magnets. For aesthetic purposes, the mod features its name in giant letters on one side (the battery compartment side, in case you forget) and a resin plate on the other side with a one-of-a-kind colour swirl design. No two mods will look the same, but they will all look pleasantly psychedelic! So if you’ve got a feel for the oldies, but also want a mod that will push the limits with ease, the VooPoo Drag is 100% for you!